James grew up in the film industry. As a child actor, he performed in feature films alongside such notables as Henry Fonda, Walter Brennen, Buddy Ebsen, and Hayley Mills. He also guest starred in episodes of Bewitched, My Three Sons, The Munsters, and Adam-12. Behind the lens professional work started after he attended film school and a wide variety of staff and freelance assignments led to a specialization in cinematography and the founding of his own business, The Migrant FilmWorkers. 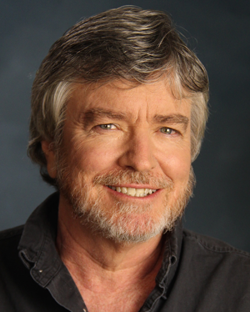 Jim has been the Director of Photography on over forty Feature Films and Movies of the Week, and partnered in the development of seven TV series. In the last few years, he has been developing an expertise in shooting filmstyle digital while pioneering the use of Digital Cinema cameras. Recent projects have also led to a wealth of practical experience with an in depth understanding of 3D acquisition. James is the President and Cofounder of the nonprofit educational cooperative, The Digital Cinema Society, a group dedicated to the industry’s informed integration of new technology. Additionally, he is a contributor to a number of industry trade journals and is a sought after speaker on the topic of emerging digital technology.